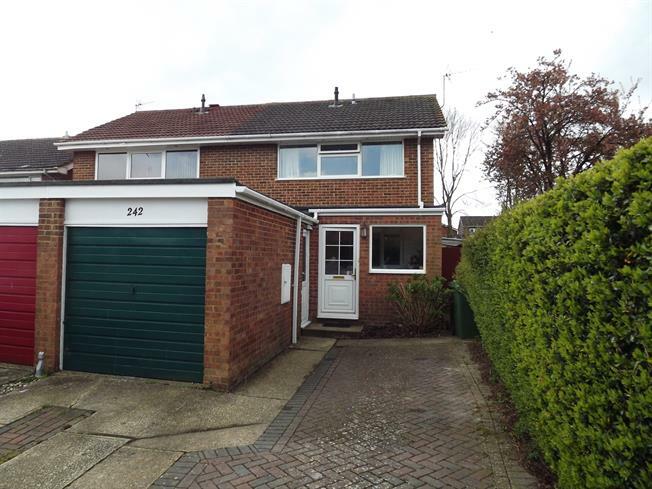 4 Bedroom Semi Detached House For Sale in Basingstoke for Asking Price £330,000. An extended 3/4 bedroom semi detached family home to the 'Hayling' design. The ground floor boasts; a utility/entrance porch, hallway with cloakroom and storage, a modern fitted kitchen, lounge, dining room and bedroom four (could be used as a study). The first floor features three bedrooms (two of which are doubles and one single), a family bathroom and further storage. Externally to the front there is driveway parking for three cars and a garage. To the rear there is an enclosed garden that is south west facing. It also enjoys a good level of privacy as it is not over-looked. To the side and rear of the property there is a pleasant green. Other benefits include gas central heating (Worcester Bosch boiler) and double glazing. Early viewings are advised.